The amazing multi talented Ciprian Costin is a blessing to the epic music community. His relentless and passionate work brings us another concert in Romania, this time featuring music by Hans Zimmer and myself. June 28th! The concert is FREE! Please help spread the word and make this a success, so we can do more concerts in the future! Thank you! 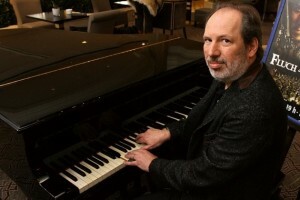 Hans Zimmer to Compose Title Theme for History’s "Sons of Liberty"
Hans Zimmer has been tapped to compose the title theme for History’s upcoming mini-series Sons of Liberty. The show is created by Stephen David (The Men Who Built America, The World Wars) & David C. White and stars Ben Barns, Henry Thomas, Michael Raymond James, Rafe Spall, Ryan Eggold, Marton Csokas, Emily Berrington and Dean Norris. The series follows a defiant and radical group of young men – John Adams, Sam Adams, Paul Revere, John Hancock and Joseph Warren – as they band together in secrecy to change the course of history and make America a nation. Kari Skogland (Boardwalk Empire) is directing the six-parter and David is also executive producing the project with Matthew Gross (Across the Universe, Body of Proof), Russ McCarroll and Elaine Frontain Bryant. Zimmer has previously co-scored History’s The Bible. Sons of Liberty is currently in pre-production and is expected to premiere in 2015.